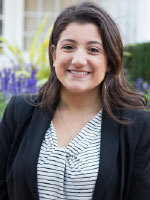 In a detailed commentary about the post “Are You Ready for a Months-Long Job Interview?”, Alyson Guarino, a graduating Zarb School of Business BBA student [and President of the Student Government Association at Hofstra] wrote the following about her job search. There are many lessons for job and internship seekers here. After interviewing with three big firms, I can speak to the experience of having “months-long” job interviews. The interview process technically started in February 2015 when I began networking with company recruiters and current employees. In May 2015, I made sure to reach out to all of the firms that I was interested in joining, with the understanding that the hiring process began in mid-August. In October 2015, I was selected to move forward in the interviewing process. The first round of interviews for two of the three firms were phone interviews with partners of the firm where I was interviewed on leadership, and various technical case studies. The third firm interviewed me in person and I sat with a recruiter, not a partner. The next rounds of interviews were in person with multiple partners of the firm, and were also focused mostly around case studies, strategic thinking, and problem solving. The last round of interviews included daylong events where I was introduced to the different teams I would potentially be working with, and different partners of the firm. Offers from all three firms were extended to me in early November, and they required a response by early December. After the offer is extended, [I learned that] the interview process is still not over because the potential employee can still have questions about the firm and want to interview the firm further. The entire process for me was 9 months, but the actual interviewing process was in fact months long. The hiring process is a complicated and long process and when someone is seeking a job, managing the multiple interviews with various firms can seem like a full time job in itself! Even before I began seeking full-time jobs for post graduation, I applied for internships for every winter break and summer session from 2012-2016 and each time I went through a separate hiring process. The hiring process generally includes multiple interviews (phone and in person) as well as background checks, and drug tests. It can take a long time to hear back, but I think sending follow-up messages after the interview to thank them for their time makes it easier to follow up 2 weeks later if you have not heard anything. The most important thing at the end of an interview that I ask is when can I expect to hear back? The most general answer is, “within 2-3 weeks”. The firms are typically in the middle of interviewing other potential candidates as well, so they need the time to decide who would be the best fit. The process can be longer for someone who was not the first choice. After the offers were extended to me from the firms mentioned above, I had a certain amount of time to respond and if I declined the offer – they then had the chance to reach out to another potential candidate to provide an offer to them. However, they cannot receive an offer until I decline one. That means that person is waiting even longer to hear back. The entire process can be exhausting, but can also be very rewarding. Interviewing can get easier and easier, and the entire process can actually begin to feel like second nature. I recommend staying organized and finding a way to manage all communication with the various companies that you have applied to (including correspondence, names and dates). It will come in handy when a recruiter or firm finally reaches out to you weeks later with a response, and you’re not exactly sure which company is calling. Stay organized, and enjoy the process! Alyson, thanks for sharing and good luck in your job! Interviews and the way you present yourself are always vital if you want to succeed. Though they can be rigorous and tedious, they are necessary if one wants to progress. In other words, be professional and don’t show up acting like you don’t care. The first impression is very important when going into an interview because it shows how serious you are for receiving whatever the job might me. If someone walking into an interview is wearing shorts and a t-shirt, it shows the employee that they are not really serious and do not care enough about the job to be hired. If someone comes into an interview fully dressed up wearing a suit it shows that they are very serious and will do anything it takes. First impression is key because it is what will make the interview start off really well or bad. With being a junior at Hofstra, I can agree to the fact that the interviewing process is very long and challenging. Applying for an internship with big and small firms tend to be different and you just have to learn to listen and read everything they give you. I can also agree that the more interviews you do the better and easier it will come to you. Always make sure to be as confident as possible ,but its ok to be nervous. Top school always means more chances and top social relationship, so how can we do, who don’t graduate from a better school. the experience of Alyson Guarino is a very useful one for me, and i also have similar feel about so longer waiting time for a job even for a interview. More than that, collocating my own experience and Alyson Guarino’s thinking, always being preparing is not doubtful the most important thing. Alyson has done a great job in writing this blog and its definitely worth spending time and reading it. I can totally co-relate because I am also in Zarb school graduating in three weeks and havent really found anything yet despite trying day and night. But yeah I am now motivated after reading alyson’s personal experiences and excitingly looking forward to my life after graduation. To Alyson, congratulations! And thank you for sharing this great experience. It is good to know how to send follow-up messages. I am trying to apply a better job, and still waiting for response. I have not experienced such long hiring process. I am working in a small company. The hiring process only took 1 month, including background check. I will try to be more organized and find whether there are opportunities to have a job in big companies. I believe it will be a very different experience. Recently, I am thinking how to ask questions during the interview, because I am convinced that asking questions is as important as answering questions during the interview. Congrats Alyson and thanks for sharing your experience with us. I agree with the long waiting process, sometime the long waiting process is really a torture, but it’s worth it. The networking part is definitely one of the most important part of finding a good job, stay in touch with the people, some one may help you with your career. Getting prepared is also important, do some research about the company before you start prepare your questions for the recruiter no matter it’s a phone interview or a face to face interview. As most people say, interviews are a way for you to express yourself in a short period of time. You have to know what to say and be somewhat quick with your responses, and i personally think its a bit nerve-wracking. I had two phone interviews for my internship this summer, and although i was relieved that I didn’t actually have to talk to someone in person, I was worried about how I would be able to express myself over the phone. What I like about this article is that It taught me to always stay organized, especially when you are going for more than one interview with different companies. Needless to say, confidence is definitely key in an interview, and the interviewer will definitely be able to see that you have confidence in yourself, which is never a bad thing. I can’t imagine applying and interviewing for one of the big accounting firms. Those are large, slow moving machines and I’m not surprised that the interview process is as long as she stated. Even for small jobs inter processes can last up to a month, so for a company that probably gets tens of thousands of applications a year, it makes sense that the interview process is designed to weed out the worst candidates. But making the interview process that long, it prevents the unmotivated candidates from actually sticking with it and gives a chance for the big firms to ensure that candidates are prepared for a job as big as working for one of the big three accounting firms. Having to balance all of those interviews takes organizational and time management skills, which are often highly valued in the professional field. I doubt I could ever go through a year long interview process (thank god I’m an information systems student), but I’m glad that big companies make sure they have the best talent working for them, and not some shmuck off the streets. Interviews put the pressure on job seekers because out of the hundreds or even thousands of people after the same job you have to find a way to stand out. With growing levels of education there are people that have attended better schools than you but there are experiences and a lot about your character that can even out the field and also give you an advantage. Its nice to hear back from alumni that recently graduated so we have actual experiences that we can expect to encounter in the near future. I am a huge believer in first impressions. Even if your first interview is over the phone, you need to sound confident and speak with bravado. Its great to see that Alyson is so aggressive in her job search. It is extremely helpful to anyone who reads it. You can’t just sit back and have one fall into your lap, you have to be a go getter and aggressive in your search. I found this to be very helpful especially because right now I am looking for internships and summer jobs. Personally I have only been on one interview and luckily I applied online, they emailed me back the next day for an interview, I interviewed and an hour later was offered the job. I was very lucky because I had never had any experience in that field but the executive had said she saw something in me that would be great for the company and saw my potential. With this chance I learned so much and through this blob post I now know what to expect from other jobs not everything will be as easy as what I experienced.